Pesto and summer are BFFs. It is a numero-uno summer sauce, as far as I'm concerned. There's nothing better than some freshly cooked pasta with pesto sauce, maybe throw in some fresh, chopped tomato, and a glass of white wine. That makes me very happy just thinking about it. And pesto is good on or in SO MANY other dishes. I like to put it in my spaghetti sauce for added depth and richness, or on homemade pizza, or in cold bean or pasta salads. It's one of those kitchen staples that can't be substituted and you miss if you don't have it. That's why I like to make big batches of it in the summer and freeze it as pesto ice cubes. That way, if I need a little or a lot, I always have it on hand. 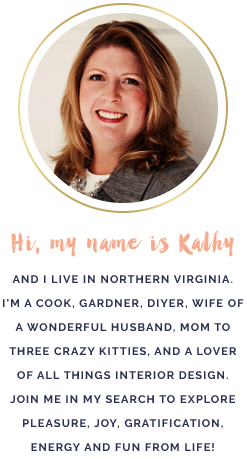 I am making a version of Ina Garten's basil pesto recipe. Her recipe calls for half pine-nuts and half walnuts, but I prefer pecans. I think pecans makes this pesto recipe more rich and flavorful. Plus, I think pecans are easier to find and are less expensive than pine-nuts. Preheat oven to 350°. Place pecans on a cookie sheet and toast 10-15 minutes, or until they become aromatic. Remove from oven and allow to cool. 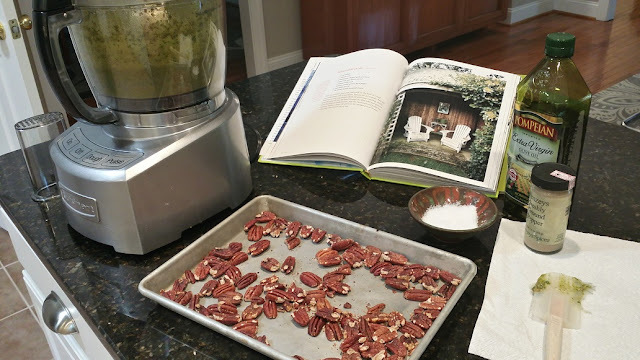 Add toasted pecans and garlic to food processor and process for 15 seconds. Add basil, salt, pepper, and parmesan cheese and process. While the processor is running, add the olive oil in a thin stream through the feed tube. Stop the processor and scrape the sides of the bowl to ensure there are no clumps. Reprocess until thoroughly pureed. Taste and adjust seasonings if necessary. I sometimes find I like to add more olive oil or even cheese or pepper. Use pesto immediately, or freeze in ice cube trays. 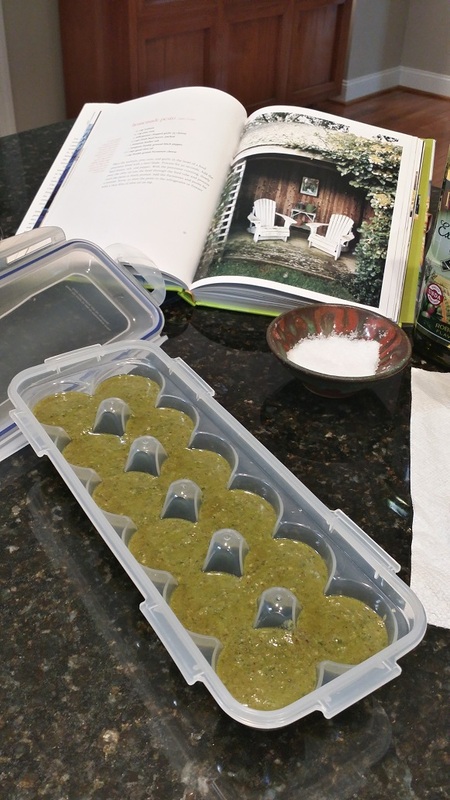 When frozen, remove pesto cubes from trays and store in Ziplock bags in freezer. Ina mentions that you should put a layer of olive oil on top of your pesto before freezing to avoid freezer burn or air exposure, but I've never had any problems with the quality and I usually use it up pretty quickly.